I’d say Jill Savage wrote “No More Perfect Moms” just for me, but as part of the book’s launch team and Holley Gerth‘s God-sized Dream Team, I’ve learned I’m not alone in both craving perfection and wanting to rid my life of perfection. It’s in this spirit of community I’ve invited fellow mommas to share their imperfect lives this week. 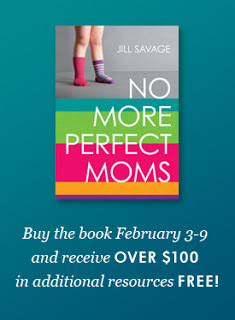 Also this week you can have a “mom university” delivered right to your computer when you buy Jill Savage’s “No More Perfect Moms.” Buy the book and receive FREE resources worth more than $100. This works even if you buy the Kindle version. Here is the list of what you’ll get when you email your receipt to NoMorePerfectMoms@moody.edu. Wani Penrod is a fellow member of the “No More Perfect Moms” launch team and I’m glad she went along with my idea to swap posts to share about this book that has found its way into our lives. She blogs about her life and seems to be quite crafty. I’m glad she’s here today! I get the perfectionist part of myself from my mother. She knows how she wants something and she wants it done right. And I have a tendency to be that way sometimes too. That is not always necessarily a bad thing. But we have to have boundaries with others and with ourselves. We have to be able to assess a situation and determine whether our standards are realistic. I have not always had this perspective. Shocking, I know! There is this weird thing about being a perfectionist … sometimes you get so overwhelmed by the knowledge that you cannot meet your own expectations that you are basically crippled by it. Sometimes I have opted to avoid a project or task altogether rather than do it “sub par.” But in life we cannot always put off things that can’t be completed “perfectly.” We need to press on and do our best and accept that it’s better to do something “good enough” than to not do it at all. I recently read an article online titled “The Hamster Wheel of Perfection” that talked about how the Christian community should provide a place where broken people get healed, not where we feel wrong for expressing our humanness. We often feel like we have to put on our church clothes and happy face when we are with other believers. But we are doing ourselves and our friends a disservice by trying to hide behind a happy face when we are struggling or hurting inside. “No More Perfect Moms” welcomes moms in all stages and phases to let go of the stress of trying to be perfect and helps them to embrace just being themselves! Motherhood is hard work that never ends and just doing our best is all we can ask of ourselves or anyone. The stories from Jill Savage and other moms are easy to relate to and give reassurance that we are not alone in our imperfection. It is very liberating to put aside perfectionism and embrace grace — both for the sake of ourselves and for others. We all of a sudden have the freedom to let our house be seen in its natural state of semi-chaos instead of never having company because we never feel our house is clean enough. We are able to share openly with friends about the struggles we go through as moms that we thought were unique to us but are really something that many other moms struggle with also. Sharing our burdens makes them a lighter load to bear. The God we serve loves us all just as we are, imperfections and all … so can’t we love ourselves and each other that way as well? Wani is a Christian stay-at-home mom with two sons and a beautiful daughter. She does a little photography on the side. She loves being able to capture people’s personalities and special moments. 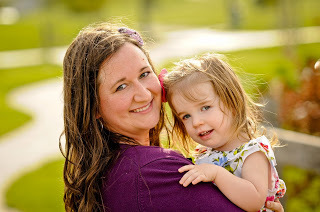 She is a born-again, Bible-believing wife, mother, friend, photographer, sister, daughter, aunt, and cook as well as an aspiring scrapbooker, seamstress, decorator, and blogger. Her blog is a journal of her family’s experiences as they navigate through the world of home education and special needs. It’s a wild ride! Disclaimer: Compensated affiliate link used, but most of you know by now that embracing imperfection is the theme of my year and “No More Perfect Moms” has been a huge part of that. Want more? Subscribe to get “Insights” in your inbox. Or follow me on Twitter. Thanks for having me! Looking forward to sharing your post on the 6th!